Arthur, Eric and Dan discuss this week's joint practices including some of the fights that broke out among them. 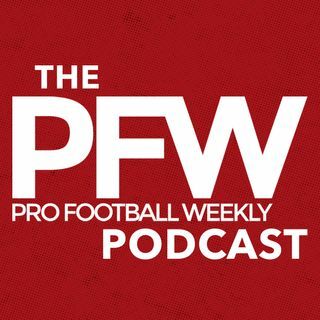 Eric gives his takeaways from the Lions/Giants joint practice in Detroit, plus the guys discuss this week's episode of Hard Knocks and other news around the NFL including Always comments on Kaepernick and Ramesey's shots fired at league QBs. No Arthur and Eric didn't record this week's episode in an old cathedral. Due to some technical difficulties, there ... See More is a slight echo. We apologize for the sound issues, but we should have it fixed for next week!